Dress up your water bottles with these Nerf Party Water Bottle Labels. Personalize a label with each guest’s name – just type your own text into these labels at home using Adobe Reader. You can also change all of the text to something else, reprint and use as Napkin wraps or Treat wraps too. 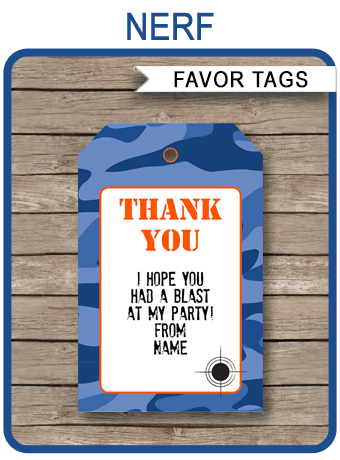 Download your Nerf Party Water Bottle Labels template immediately after your payment has been processed. Trim out your Nerf Party Water Bottle Labels on the provided cut lines, and place around a small water bottle.